Insurance | Wheeler Machinery Co.
Business cash flow can dry up quickly and unexpectedly when accidents occur, that’s why Wheeler works hard to help companies get the insurance coverage they need – fast. Risk Solutions Insurance Agency can arrange for companies to obtain most types of business insurance and Cat Insurance can directly provide equipment theft and equipment physical damage coverage. Wheeler Rental can assist companies that need to rent equipment and work tools but don’t have the necessary equipment rental coverage. At RSIA, customers are serviced by personnel who specialize in the construction industry. 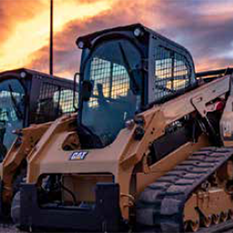 Companies that purchase equipment from Wheeler and then borrow from Cat Financial to pay for the equipment are automatically approved for equipment theft and equipment physical damage coverage from Cat Insurance, a sister company of Cat Financial. The premium payment conveniently can be included in the loan payment. 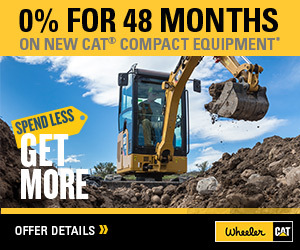 Cat Insurance also provides theft and physical damage coverage for equipment that is not financed through Cat Financial or purchased from Wheeler. 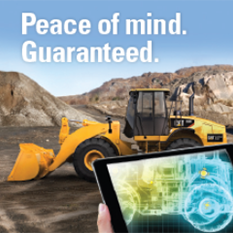 Companies that rent equipment and work tools from Wheeler are automatically approved for equipment theft and equipment physical damage coverage from Wheeler Rental. The premium payment conveniently can be included in the rent payment. Companies that have their own rental equipment coverage can waive the Wheeler Rental coverage and thereby reduce their rent payment.